In this article, I have mentioned all tips and tricks that will help you to get maximum bass out of your subwoofer. I have seen many fellows, who are have bought a new subwoofer and now confused. After receiving many messages about, “How to Get More Bass Out of Your Subwoofer“, I decided to write a detailed article on this topic. Everybody likes high bass and these inner cravings for high bass will never end from the hearts of bass lovers. So this is the interesting topic for all of you and if you also want a high bass than you should read this whole article carefully till the end so that you can also enjoy a high bass and enhance your driving experience more and release your stress while listening to high notes. High bass is something that will refresh you because, in high bass, you are not just listening to the music but actually feeling it. 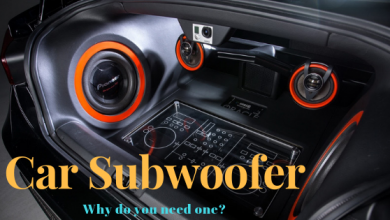 Many of the people don’t know how to enhance the bass out of your subwoofer and get disappointed by their car speakers system totally and I am here to tell you that how you can easily make your sound system perfect. Some people think that they have to open up all their car’s sound system and they will do mess with it and don’t even try to find out its solution. So if you are enthusiastic about this and wanting to know that how would you make the sound system best by increasing the bass, then here I will tell you each and everything so that you can easily do this by yourself without any worries and do not need of changing the whole sound system. Good bass depends upon a good subwoofer, room’s content and unique shape and size also. So your subwoofer should be of high quality so that you can have a high bass from it. There are different methods by which you can get more bass out of your subwoofer. So, proper emplacement or correct positioning of a subwoofer is the most important thing that many people neglect and after the incorrect adjustment, they are wondering that what is going on. The improper placement effects the whole sound system including the bass also. So for this purpose you have to place the subwoofer between the main speakers for the checking of bass and this will be an easy evaluative criteria for space so check out by the bass by this method first but remember that you should have to keep the subwoofer away from the front wall of the main speakers to avoid any kind of sound distortion. If this technique doesn’t work for you then place the subwoofers in different positions to get to know about the perfect position where there is the maximum bass effect because these sound waves also reflected by the anything around it and finally you will find the perfect spot for perfect bass production. Just trust your ears, you can easily hear the ideal emplacement of subwoofer by the correct bass production if you listen to it carefully. For loudest bass, 15 Inch Subwoofer is an ideal choice. The second most important thing by which you can get more bass from the subwoofer is the correct connections. This is the main crucial thing for a perfect bass. You have to run the positive cable on the car’s opposite side like your speaker wiring and the other attached cables and you will easily notice if you do it incorrectly because a sharp bad noise will produce and you will easily correct the connections. Another important thing is that you have to check out the sound system and attach an amplifier with this, it’s a bitter truth that you cannot get a clear or perfect bass without a subwoofer or an amplifier. So your car’s sound system must have attached amplifier and subwoofer with it if you are demanding a high clear bass. To properly adjust the amplifier by making sure that its ground location is the best one. 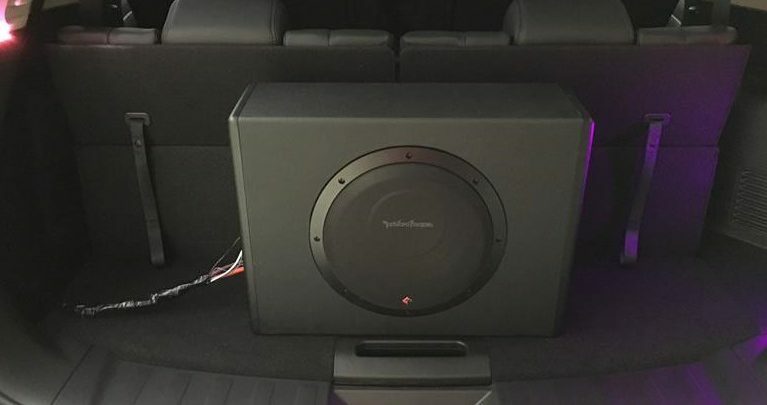 Read here about 12 Inch Subwoofer Reviews 2019. You have to place the amplifier directly to the car frame and use a battery tester or a test light to ensure the running voltage through the cables. The best method is to connect the multimeter, connect one end of the lead with ground location and other lead directly to its negative terminal and set the multimeter to ohms. After getting the reading, you have to subtract the natural resistance from the test leads/multimeter, try not to allow more than 1 ohm. Let me share another important thing with you that if your amplifier shows abnormal overheating or get short frequently, or show blowing and fusing than immediately change the wiring because it’s an indicator that you have improperly ground it. Secure the amplifiers wires properly. 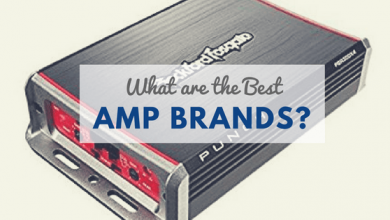 If you planning to buy an amplifier, you like to read this guide. Subwoofer box designs play an important role if the bass. I have already posted an article about subwoofers box designs for deep bass. 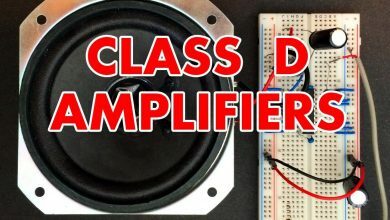 Give it a read, I have given step by step guide on making a subwoofer box design that will help to deliver more powerful and neat bass. Check if you need an 8 inch subwoofer or a 10 inch subwoofer, go according to your car space. First of all, you have set the crossover means the frequency at which your subwoofer starts playing the bass notes. After that adjust the gain volume. You can do this very easily, this is the main and important part and many people do it wrong or find it confusing. So I will tell you guys that how you can adjust this. Start playing a song and start turning down the subwoofer until the volume fades and you become unable to hear it. After that, turn the gain up until you just start hearing the bass without any kind of distortion. Now stop, you are done here. In your subwoofer, you can also adjust the LPS that is low pass filter, so adjust it a little bit in a downward position until the mid and high-frequency notes disappear.LPS will eliminate the notes that you don’t want to hear in your sound system. Some subwoofers have a phase switch on them, so you can switch it between 0 to 18 degrees and easily pick the sound which is better but if the subwoofer sound is already adjusted best to your desire, then there is no further need of any adjustments but if your sounds lack bass than use the phase switch. You can also make mini adjustments to the stereo audio equalizer for your desired sound and bass. I have explained here, subwoofer size chart along with features and specifications of different car subwoofers. So after adjustments and all the settings you will get more bass out of your subwoofer. Treble should be low, bass should be high, speakers must be of high quality, subwoofer seal must be good, speakers box should be designed as such to create more bass. So by following all these methods you can get more bass out of your subwoofer and can feel the music and the answer to How to Get More Bass Out of Your Subwoofer. When I bought my new car I was extremely happy and all of the things were perfect but when I turned on its speakers, it was something really shocking to me like a nightmare and I was really upset because of such bad speakers. At that time I started to search that how to correct the car speakers but didn’t understand anything and found it a very difficult task. The sound system that my car was having at that time was a complete mess and I found it very difficult to find the solution. I have to go for a long drive with my friends because they insisted me and they also want to a treat for my new gorgeous car. I was also enthusiastic to take all of them on my new car but at the same time, I was also worried about the car’s sound system. Read here about 6×9 car speakers. So I started research on it and finally found the stuff that I have also shared with you in this article. I came to know that sound system is nothing without an amplifier and a subwoofer if you are a true music lover because some people found the already fitted car’s speaker good for them. But I was in search of the good and high-quality sound with a high bass. So I took the subwoofer and came to my home and dedicatedly started my work to set it and I was such an easy task to fit the subwoofer, make it connections and adjust the volume settings properly and you also found it easy once you got understand all these easy things. I have also cleared the things in my mind and then started this work. Read this guide on car door speakers. Finally, I adjusted all the things within no time, as I was thinking that it is difficult but trust me, it was an interesting thing to do. After the proper placement of the subwoofer, I did the volume settings, lowered the treble and set the bass to high, I carefully adjusted the Gain volume and low filter pass adjuster. After that, I get a worth listening sound with high bass from the subwoofer. We all friends go on my new car with the loud music system on, it was a clear crisp sound with high bass that we enjoyed a lot. Besides praising my car, my friends also fall in love with my car’s sound system and that was a joyous moment. I was glad that I had done such nice settings and I also decided to share these things with you and write a complete article on it so that you people can get help from here. 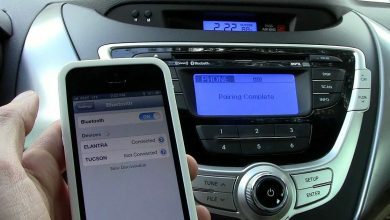 So, follow all the things to get more bass out of your subwoofers and if your car’s sound system is making to feel ashamed in front of your friends or if you are annoyed from your car’s sound system or you are in search of a high bass and a perfect clear sound than do these settings now, without wasting any time. I have done this and I am very much happy with my subwoofers and high bass and until now I am truly loving my car’s sound system. So, seek guidance from this article, follow all these things and not only listen but feel the music, this will keep your mind relaxed and make your inside happy and calm. I hope you will love this detailed article. Do the adjustments and tune the volume carefully. I have all details related to the question for today, “How to Get More Bass Out of Your Subwoofer”. Remember it is the settings in the stereo and proper positioning of the subwoofer box, that plays an essential role in the quality sound production. If you still have any questions related to subwoofer bass, you can contact me by using the comment section below.